If you totally have no idea what is this brand, then you have become out-dated. Celine, the recently most popular brand, they came out with more and more colours for their IT bag, and every women are so crazy for it. Most of their bags are sold out all over the world. 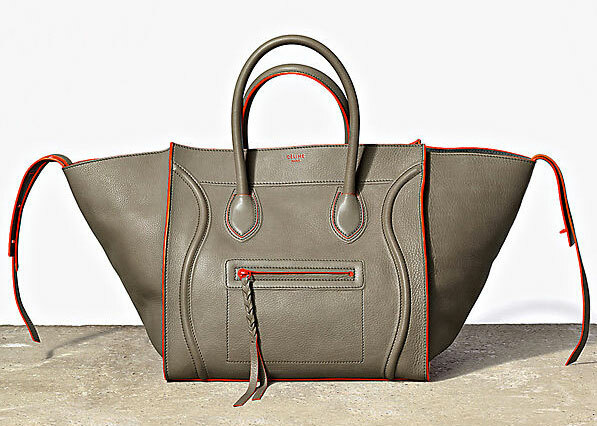 The Phantom, the bag which is their most recent smash hit of the brand. I must say that the earth grey match with the orange sides seam perfectly. When you fold the sides inward, the form returns nearer to the actual size, however, I personally like it to be bigger, more casual I think. Im totally in love with Celine.